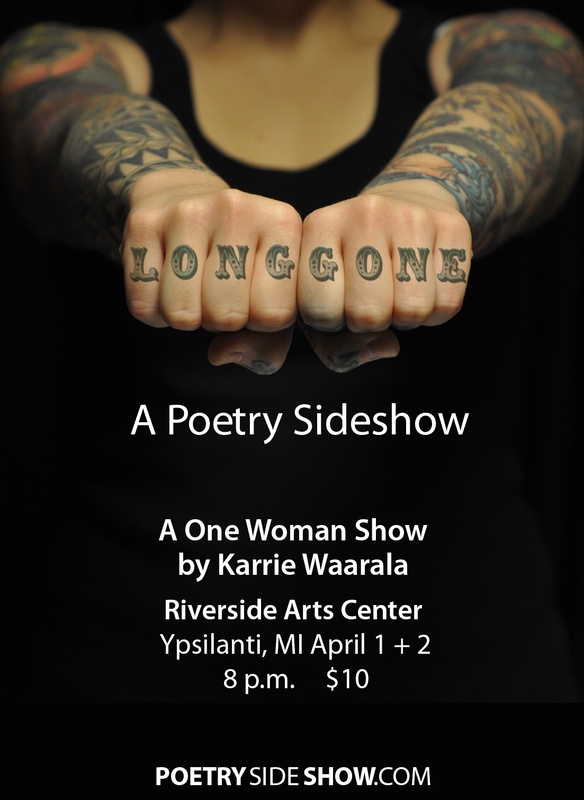 A local woman by the name of Karrie Waarala is putting on a one-woman show at the Riverside Arts Center this weekend, and, as I thought that some of you might find the subject matter of interest, I took the opportunity to ask her a few questions. The show, which is entitled Long Gone: A Poetry Sideshow, opens Friday evening. Mark: So, what’s the show about? Karrie: The show tells the story of Tess, a tattooed lady in the circus sideshow, through a series of poems and monologues. I’ve been working on a collection of poems told from the point of view of people in and around the sideshow for the past two years for my MFA, and Tess is one of the two main characters in that collection. The whole thing is sort of a glimpse at the sideshow behind the sideshow… how people like Tess end up there, and the toll a life like that takes. She’s not exactly the well-adjusted type. Mark: How much time, if any, have you spent among sideshow folk? Karrie: I’ve been fortunate while doing research for this project in that all of the circus and carny folks I’ve spoken with have been really warm and welcoming and eager to share their stories. I got the opportunity to interview John Ringling North II, which was fantastic. The fire-eater performing before my show and providing the ballyhoo has been on the World of Wonders, the show run by sideshow great Ward Hall, and has some great stories. But I haven’t run off and joined the sideshow myself. Yet. Mark: How’d the show come together? When did you have an idea to translate everything to the stage? Karrie: In my MFA program, the Stonecoast low-residency program at University of Southern Maine, everyone is required to spend their third semester working on a project that is supplemental to our creative writing. I had begun work on a series of circus poems when I started the program in July ’09, which is when I got to see a fellow student perform a one-man show he had created for his third semester project. As soon as I saw that, I knew I wanted to do some sort of stage adaptation as well, since I have a background in performance poetry. At first I was writing all across the circus, and had envisioned a sort of three-ring poetry spectacle with a variety of performers and myself safely in the wings as the writer/director. As I continued to work on the series of poems, however, it became clear that I was focusing on the sideshow, and in particular, these two main characters, a tattooed lady and a sword swallower. Once I realized that, I saw that what I really had on my hands was a one-woman show. Which was scary as hell, but still better than writing a 35-page literary theory paper. 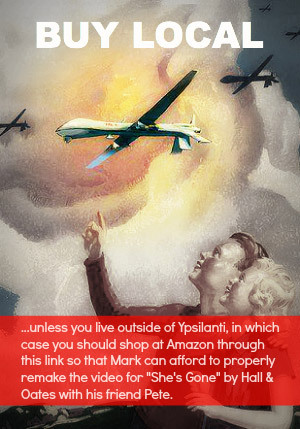 Mark: And you’re in the process of raising money for it on Kickstarter? How’s it going? Karrie: It went great! Fundraising on Kickstarter ended last Friday, and people ended up pledging 115% of my goal. 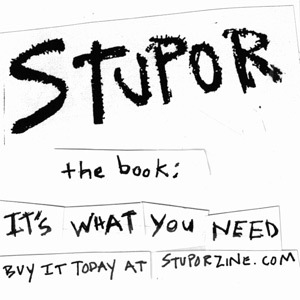 In exchange for their backing, they’ll get things like tickets to the show, chapbooks, DVD’s, and a couple people even pledged enough to get to get their name or a design worked into the temporary tattoos that are part of my costume. Basically, I sold advertising space on my skin like NASCAR does on cars. Fortunately no one wanted a motor oil logo. Mark: So, when’s the show, and how much are tickets? Karrie: This Friday and Saturday, April 1 & 2, at the Riverside Arts Center in Ypsilanti. The show starts at 8 pm, but doors to the midway open at 7. We’ve got a fire-eater, a juggler, a fortune teller, a barker who may have some more sideshow fun up his sleeve… Tickets are $10 and available at the door or online. Mark: Oh, and what brought you to Ypsi? Karrie: I’m from Milford originally, and moved back to this side of the state for a job in Ann Arbor a few years ago. I got a great job offer in Auburn Hills a year after that, but that was right when the housing market crashed, so I couldn’t sell my place. Stayed in Ypsi and drove back and forth for 4.5 years. I just put aside my career as a library director to be a full-time student/writer about three months ago, and it’s nice to finally get to live in Ypsi instead of it just being the place where I fall over at night. There’s some really awesome stuff going on in this town. Did you know that there used to be a print version of AnnArbor.com that came out every day? It was called the Ann Arbor News, and, on occasion, they’d print letters from readers in Ypsilanti. 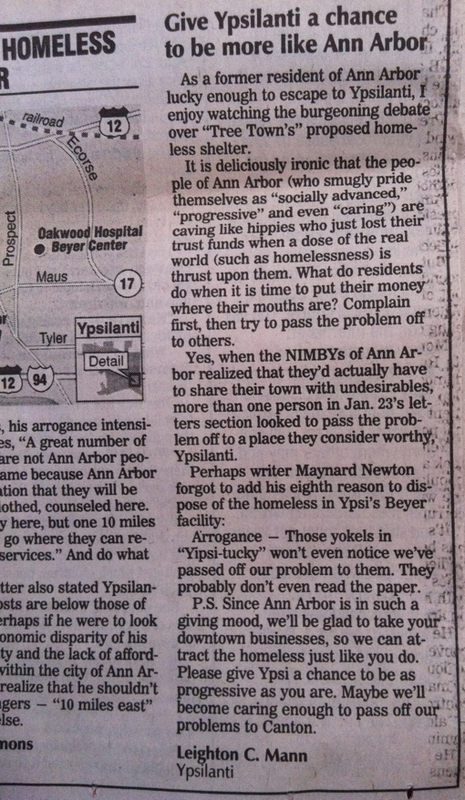 Here’s one of those letters, written by my friend Leighton in 2000, in response to another reader’s idea that Ann Arbor’s homeless be relocated to Ypsilanti, where they’d likely fit in better. It’s not exactly timely, but I thought that it was the kind of thing that deserved to be protected here, in the MM.com archive. Those of you who would like to give Leighton a piece of your mind, will have ample opportunity to do so in April, as he’ll be traveling across the country, wreaking havoc with the Meatmen. Earlier this evening, I received the following from Mark Brewer, the chair of the Michigan Democratic party. Today, Governor Snyder signed a bill slashing unemployment benefits for potentially hundreds of thousands of unemployed workers in Michigan and making Michigan the only state in the nation to have fewer than 26 weeks of benefits. The new law cuts state benefits to only 20 weeks and eliminates 16 weeks of benefits covered by the federal government. Tough love? For hundreds of thousands who are out of work by no fault of their own? Tough love? 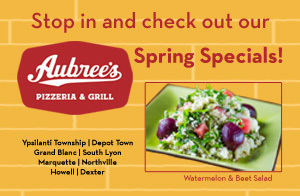 For Michigan families who are struggling to feed their children and make their mortgage payments? Tough love? 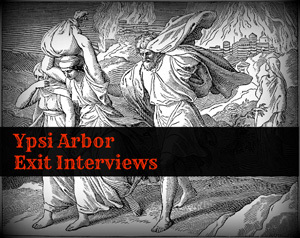 This isn’t tough love – it is another Republican attack on the working people of Michigan. Governor Snyder and the Republicans just don’t get it. Email or call Governor Snyder at (517) 373-3400 and tell him to support legislation restoring these benefits. Tell him we can’t be cutting benefits when families need them most. Help us fight this law and the Republican agenda in Lansing. Volunteer, donate, or join the Party. You can also follow us on facebook and twitter to learn how you can join the fight. The Democratic comeback is underway. Let’s keep the momentum going. 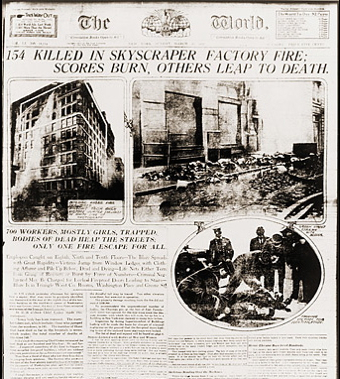 As I didn’t see it anywhere in the corporate media over the past few days, I thought that I should at least mention that March 25th marked the 100th anniversary of New York’s Triangle Factory Fire. The tragic event claimed the lives of 146 people, most of them young immigrant women, and galvanized the American labor movement. The following overview comes from the Cornell University archives. 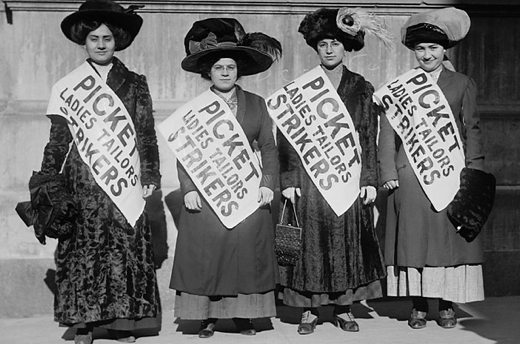 …The International Ladies’ Garment Workers Union organized workers in the women’s clothing trade. Many of the garment workers before 1911 were unorganized, partly because they were young immigrant women intimidated by the alien surroundings. Others were more daring, though. All were ripe for action against the poor working conditions. 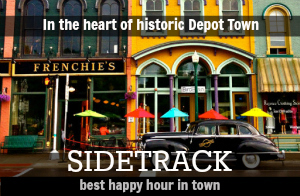 In 1909, an incident at the Triangle Factory sparked a spontaneous walkout of its 400 employees. The Women’s Trade Union League, a progressive association of middle class white women, helped the young women workers picket and fence off thugs and police provocation. At a historic meeting at Cooper Union, thousands of garment workers from all over the city followed young Clara Lemlich’s call for a general strike. With the cloakmakers’ strike of 1910, a historic agreement was reached, that established a grievance system in the garment industry. Unfortunately for the workers, though, many shops were still in the hands of unscrupulous owners, who disregarded basic workers’ rights and imposed unsafe working conditions on their employees. Near closing time on Saturday afternoon, March 25, 1911, a fire broke out on the top floors of the Asch Building in the Triangle Waist Company. Within minutes, the quiet spring afternoon erupted into madness, a terrifying moment in time, disrupting forever the lives of young workers. By the time the fire was over, 146 of the 500 employees had died. The survivors were left to live and relive those agonizing moments. The victims and their families, the people passing by who witnessed the desperate leaps from ninth floor windows, and the City of New York would never be the same. Survivors recounted the horrors they had to endure, and passers-by and reporters also told stories of pain and terror they had witnessed. The images of death were seared deeply in their mind’s eye. Many of the Triangle factory workers were women, some as young as 14 years old. 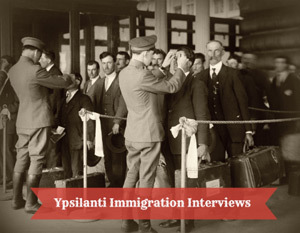 They were, for the most part, recent Italian and European Jewish immigrants who had come to the United States with their families to seek a better life. Instead, they faced lives of grinding poverty and horrifying working conditions. As recent immigrants struggling with a new language and culture, the working poor were ready victims for the factory owners. For these workers, speaking out could end with the loss of desperately needed jobs, a prospect that forced them to endure personal indignities and severe exploitation. Some turned to labor unions to speak for them; many more struggled alone. The Triangle Factory was a non-union shop, although some of its workers had joined the International Ladies’ Garment Workers’ Union. As others have noted, it’s particularly important that we remember these tragic events today, at a time when our American unions are under assault, and the history of the labor movement is being rewritten. Speaking of revisionist history relative to the labor movement, did you hear that the Governor of Maine has chosen to make it a priority to paint over a mural at the state’s Department of Labor showing the contributions of Maine’s workers? Here’s a clip from a recent editorial in the New York Times. As Republican governors vie to become the most anti-union executive in the land, Gov. Paul LePage of Maine has stooped to behavior worthy of the pharaohs’ chiseling historic truth from Egyptian monuments. Mr. LePage has ordered that a 36-foot-wide mural depicting workers’ history in Maine be removed from the lobby of the state’s Labor Department. The reason? His office cited some complaints from offended business leaders and an anonymous fax declaring that the mural smacked of official brainwashing by North Korea’s dictator. This is what’s passing for democratic governance in a state with a noble workers’ history. The mural honors such groups as the state’s shoemakers and the women riveters who kept the ironworks going in World War II. Key workplace moments depicted include a paper mill strike against harsh working conditions and a tribute to pioneer lumberjacks. All too “one-sided,” decreed the governor, who also ordered that the agency’s seven meeting rooms no longer be named after figures from workers’ history. The nation’s first woman cabinet member — Labor Secretary Frances Perkins — is buried in her beloved Maine, but her room name won’t survive. Nor will state residents be reminded of William Looney, a 19th-century Republican legislator who fought for state child labor reforms…. Speaking of “one-sided,” aren’t child labor laws kind of that way? I mean, they protect kids, but what do they really do for adults? Maybe once we get these terrible murals painted over with corporate logos and the heroic images of old, white captains of industry, we can move on to address that particular injustice. In the meantime, I’d encourage you to share the story of the Triangle Fire with your friends and children, emphasizing what a truly horrible inconvenience it was for the owners of the factory. In all seriousness, it pains me to know not just that labor is losing power, but that, as a result, more people will lose their lives. It shouldn’t have to be that way. The sacrifices of these men and women in 1911, and all of those who were murdered by Pinkertons and their like, shouldn’t have to be made again. But, as they say, we’re cursed to keep forgetting our past, and the goddamned pendulum keeps swinging. Here’s hoping this time the fight isn’t so brutal, and the costs aren’t so great. 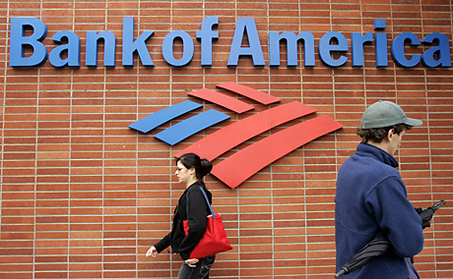 Going after corporate tax cheats like Bank of America and G.E. As the article mentions, Bank of America isn’t alone either. Several large companies manipulate the system in order to avoid paying federal taxes. The following clip, which is about the sophisticated system employed by General Electric to avoid paying taxes, comes from yesterday’s New York Times. …The company reported worldwide profits of $14.2 billion, and said $5.1 billion of the total came from its operations in the United States. And, it’s worth pointing out that this is taking place not only during a period of record corporate profits, but at a time in which our nation is laying off teachers, cutting tuition aid to college students, and slashing budgets for environmental protection. The good news is, people, as evidenced by today’s protests, are beginning to take notice. Now, we just have to wait and see if the movement here really takes hold like it has in Britain, where, it would appear, people are beginning to connect the dots and correctly assign blame. And, don’t feel bad if you missed today’s protests. There’s something that you can do on Monday morning that’s even more effective. Move your money to a non-profit, community-based credit union. Update: Here, with more on the G.E. situation, is a note from MM.com reader Glen S.
Since 2001, G.E. has eliminated 34,000 jobs in the U.S., while creating 25,000 jobs overseas. Meanwhile, since the 2008 financial crisis, G.E. has received billions in federal stimulus funds, while paying nearly nothing (and, in some years LESS than nothing) in federal taxes. The net result? G.E. now finds itself sitting on $79 BILLION in cash — tops worldwide among non-financial publicly-traded companies, or about 62 percent more than the next company, Toyota — and larger than the individual GDPs of 118 of the World’s sovereign nations. Unfortunately, G.E. is far from an extreme example: In 2010 corporate federal taxes relative to the overall economy reached their lowest level since 1946 — or about 1% of GDP. Nevertheless, this year U.S. taxpayers (i.e. all of us) will be paying G.E. $3.2 BILLION for the privilege of continuing to do business (and make profits) in the U.S. — an amount roughly equal to TWICE Michigan’s projected budget deficit for the coming year! Let’s face it: The fiscal “crisis” we are facing is NOT because teachers, firefighters or police officers earn too much. The problem is not that pensions and Social Security are too “generous.” The problem is not because of “greedy” unions, or because there are too many worker-safety, consumer-safety, or environmental regulations tying the hands of business. The real problem is the insatiable greed, arrogance and lust for power that large corporations and the super-rich have increasingly demonstrated over the past three decades — often facilitated by an unholy alliance of openly sycophantic politicians and, far too often, angry, yet shockingly ill-informed voters.